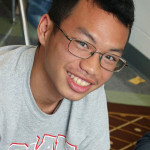 Nhia Thao wants to get an education that will allow him to support a family, and says AVID is preparing him for the intense classes ahead in college. Central Senior Kiara Schultz demonstrates her digital “college crate” with her resume, applications and scholarship materials. Kiara Schultz would be the first in her family to go to college, and says AVID is giving her “the backbone to ask the higher-level questions” so she can achieve her goal of becoming a nurse practitioner. Kobe King fears he’s going to be very busy when he gets to UW-Madison on a basketball scholarship, and AVID is helping him get more organized and develop better study habits. “In college, you have to learn more on your own,” King says. 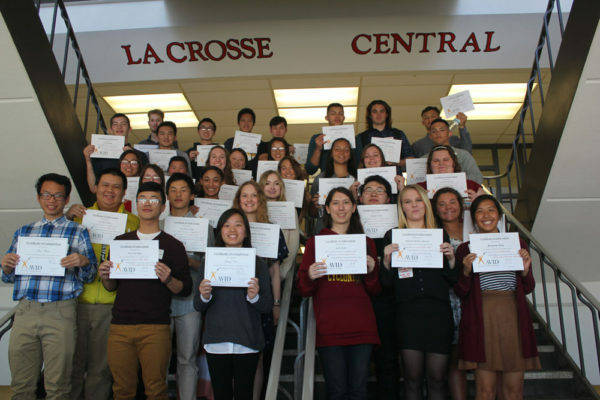 King and Schultz, both seniors at Central High, and Thao, a senior at Logan High, are part of a group of nearly 50 diverse students working toward graduation next spring after completing the AVID program. AVID stands for Advancement Via Individual Determination. 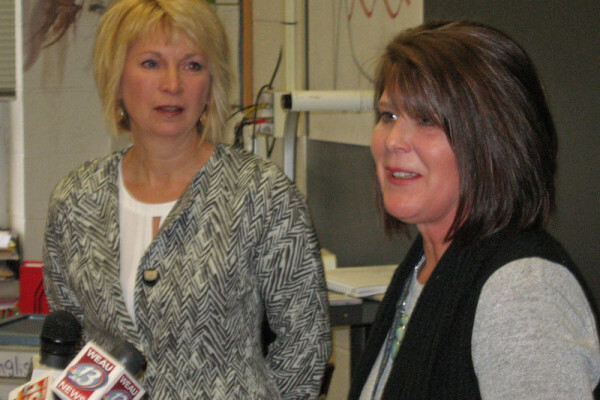 It is a college-readiness program – already in place in nearly 5,000 schools across the country – and being implemented in La Crosse public schools with support from nearly $230,000 in fundraising by the La Crosse Public Education Foundation. As Logan AVID 12 teacher Carrie Harings explains, the AVID seniors are focused on the final steps to apply for colleges and get accepted. Each student is expected to apply to four colleges, to complete the FAFSA (Free Application for Federal Student Aid), to apply for two scholarships each month, and to work on sample essays and other materials needed in the process. Students also are expected to work on a “legacy to leave behind” for future AVID students at their school, including providing tutoring for 9th-grade AVID students and developing a larger service project, such as a school food pantry, Harings says. High expectations are common to AVID students. Nhia Thao says his parents did not go to college, but have worked hard to ensure that he and his siblings are able to get a college education. He’s worried about stories he hears of students who drop out, but he says AVID has prepared him for the intense classes he will face in college. 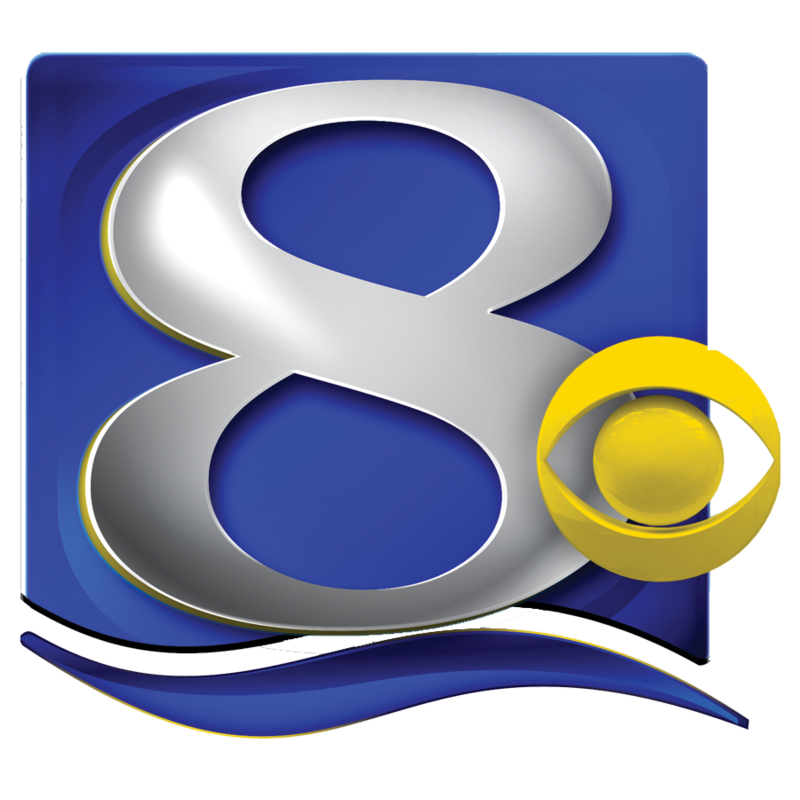 He hopes to attend either UW-La Crosse or UW-Eau Claire and major in psychology. Central Senior Kobe King says AVID helped him get better organized. 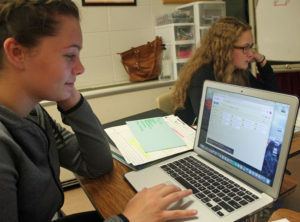 Kiara Schultz plans to enroll at Viterbo University and already has become a Certified Nursing Assistant through work at the District’s Health Science Academy. She says AVID gave her the confidence to enroll in higher-level classes. “I was pretty shy,” she admits. 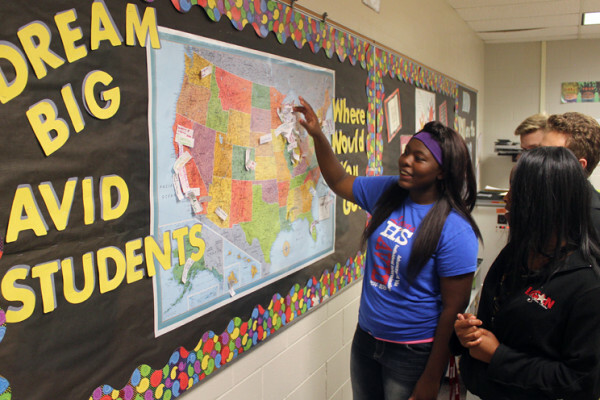 “AVID allows me to step out” and talk more to teachers and others who can help her succeed. 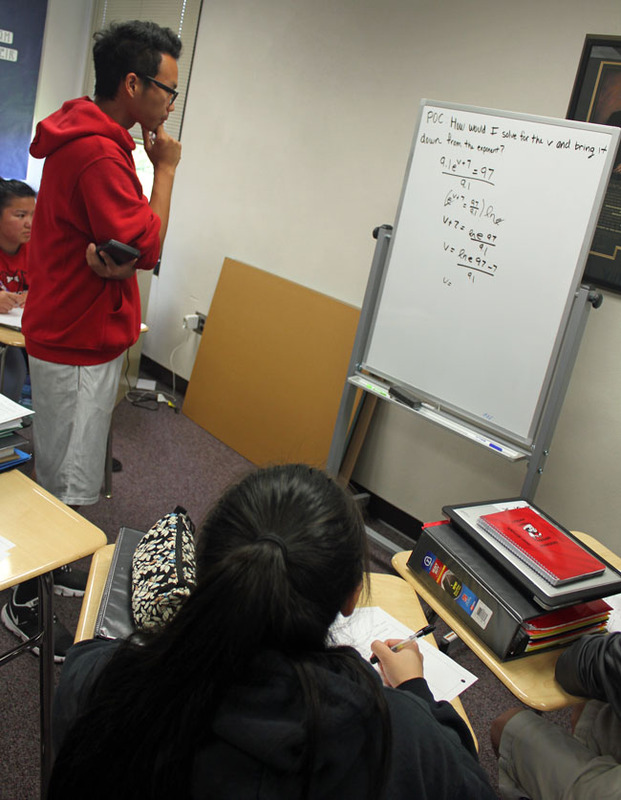 Nhia Thao works on a math problem with classmates during a tutoring session at Logan High. 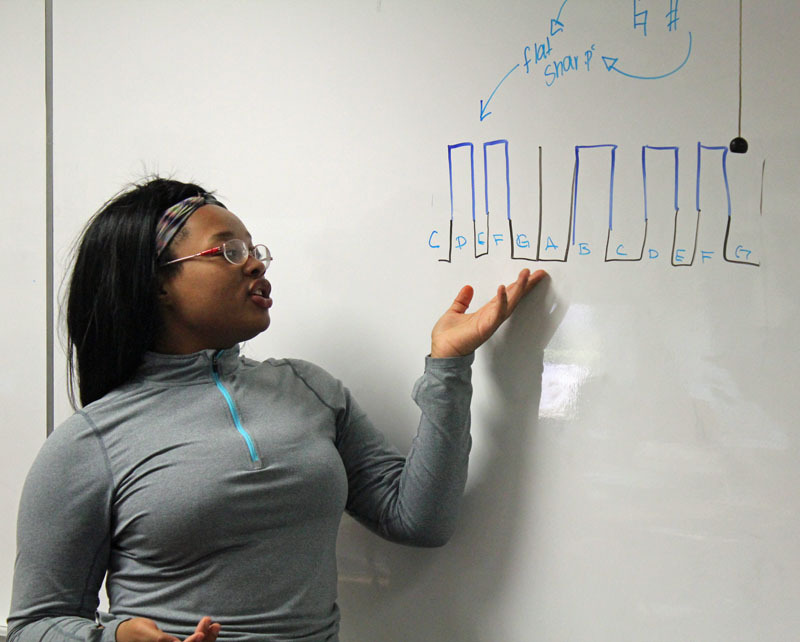 Tarianna Thompson asks Logan classmates to help her better understand flats and sharps on a keyboard. Tarianna Thompson leads tutoring session in Logan AVID 12 class. 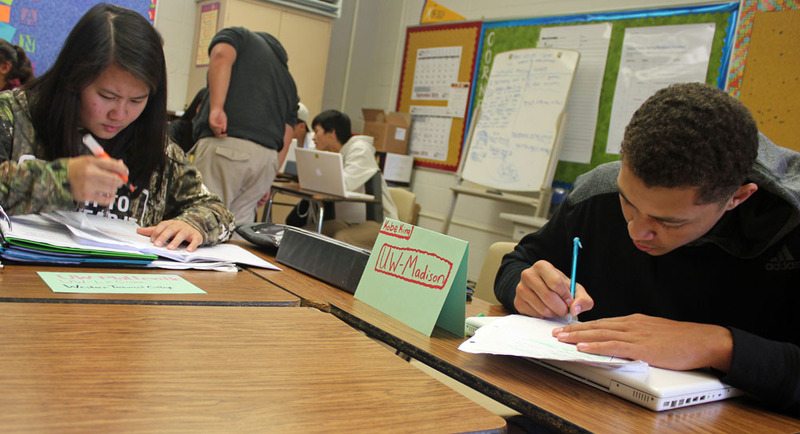 Chia Phang and Kobe King work on college application materials during a Central AVID 12 class. 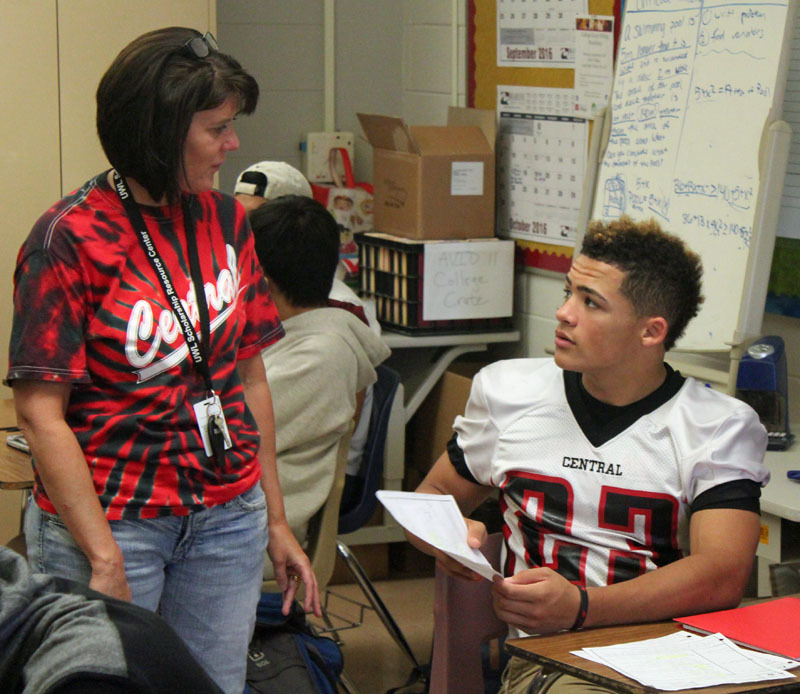 Central AVID 12 Teacher Ellen Koelbl talks with Austin Steele, a Central senior. 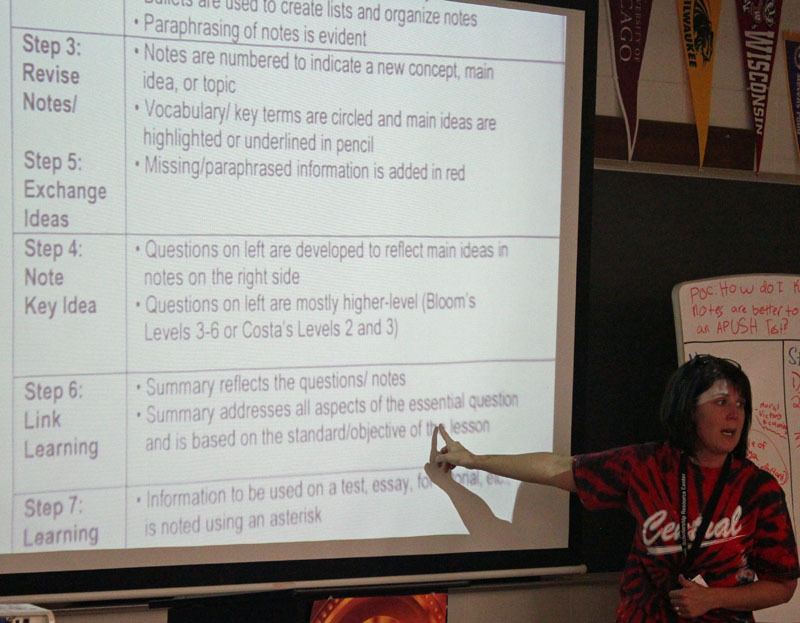 Central AVID 12 Teacher Ellen Koelbl reviews key AVID points with her class.